Bowling Rental Tracking is a POS & kiosk-based application that allows customers to book bowling games. The application is able to synchronize data between multiple bowling centers and it can manage the entire booking process, from rental to payment. The application can be installed on POS & kiosk-type devices. The following screenshot presents the Main screen of the application. 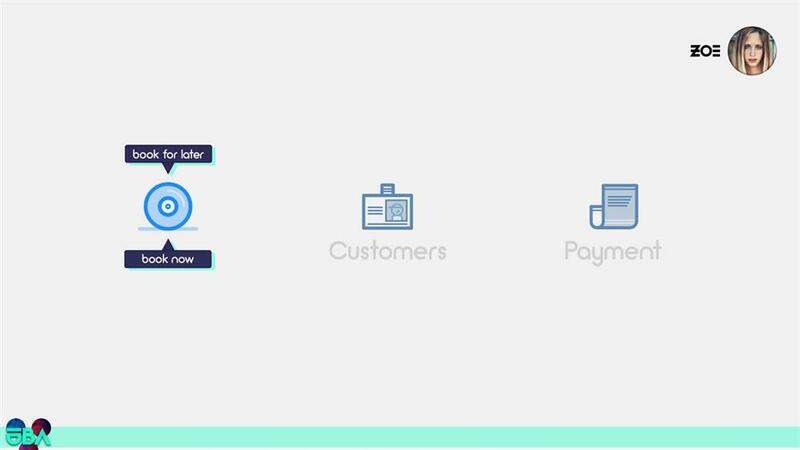 Users can choose their desired action from the following menus: Book (for later or for now), Customers (new or existing), Payment (cash or card). 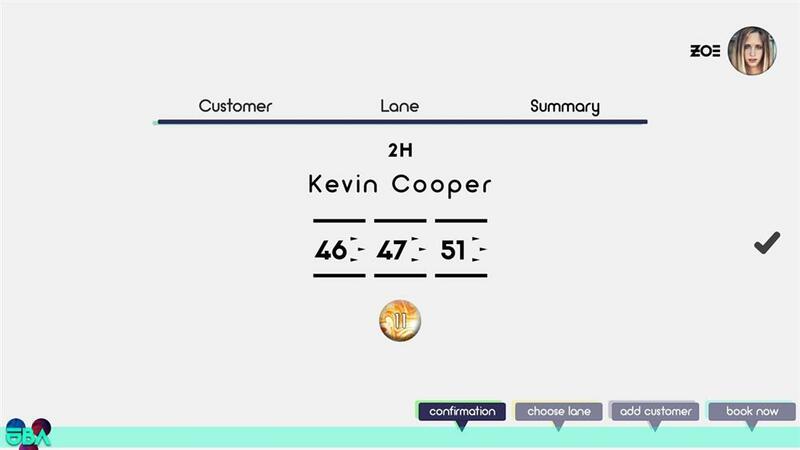 The following screenshot presents the screen where customers can choose their favorite lanes and balls, as well as the duration of the booking. In the Summary screen, customers can check all the details and confirm the booking. New customers can create their own profile (choosing any nickname they like), while existing customers can login using their credentials. Once logged in, Bowling Rental Tracking application gives customers the possibility to pick their favorite lanes and balls depending on availability at the moment of booking. The application accepts multiple payment options, including cash, card, Apple Pay and Bitcoin. The payment can be easily done thanks to the digital receipt that is automatically generated by the application. Bowling Rental Tracking can also be used for tracking the rental time and computing total rental cost, for multiple bowling center customers.